Buy the set. 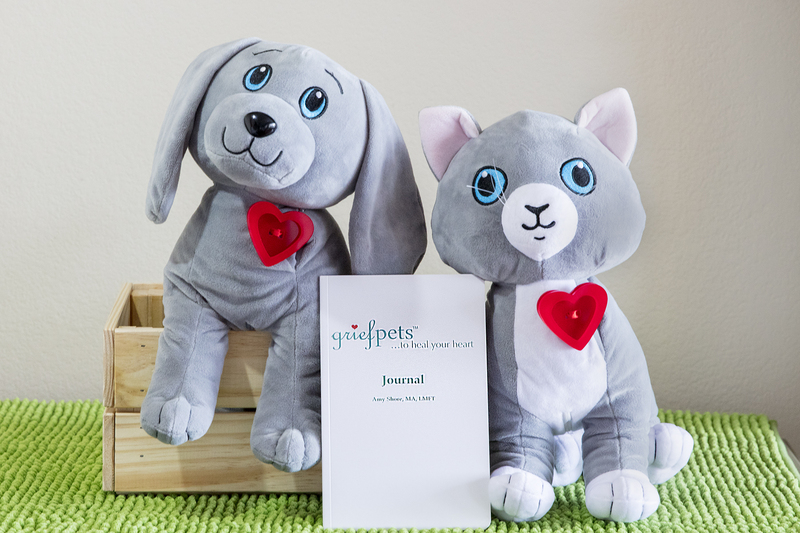 griefPuppy and griefKitty are plush companions griefKit (a stuffed puppy and stuffed kitty, each with a workbook). A tactile transitional tool to help people cope with grief over the death of a pet.